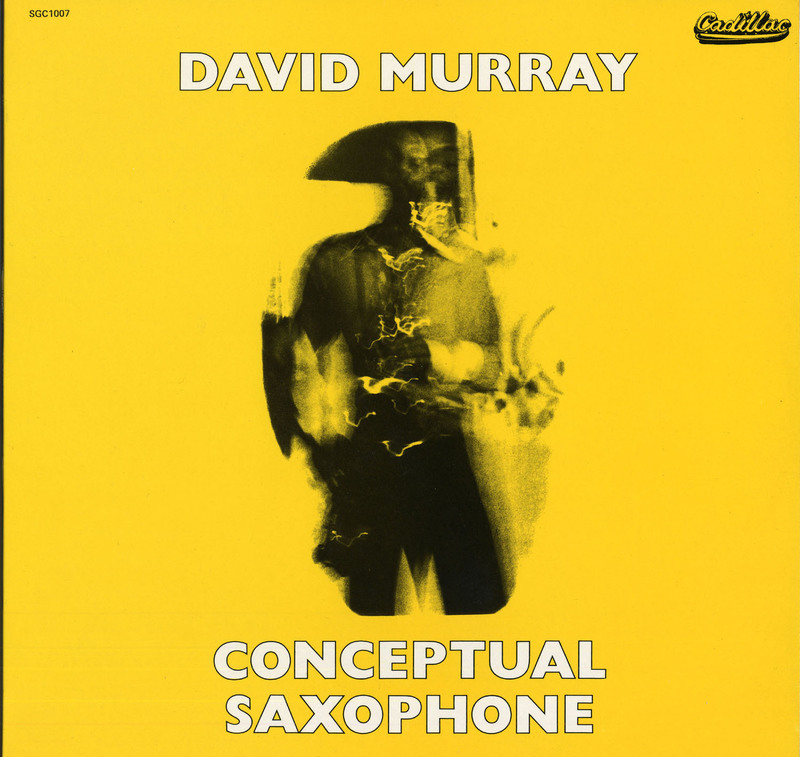 Conceptual Saxophone is the title of one of Murray’s 1978 releases, and a pretty good title at that. The five tracks make up about a third of a two night concert that Murray played in Paris on the 6th and 7th February in 1978. Unusually, given Murray’s interest in playing with others, here he plays alone. Using the LP as a jumping off point I’m going to explore some important aspects of Murray’s music and career and the wider context in which he worked. There are two startling things about the album. One is the music – over the two nights Murray played solo tenor for 120 minutes – and the other is that it’s still possible to buy an original 1978 vinyl pressing from the original label. As for the music, side b contains two Murray classics in ‘Home’ and ‘Flowers for Albert’, while the first side has a rendition of Duke Ellington’s ‘Come Sunday’ together with two Murray compositions he only seemed to have had recorded this once: ‘Feeling Stupid’ and ‘The Parade Never Stops’. There will be posts on each of these tracks over the next few days and weeks. The album was issued by the British Jazz independent Cadillac Records (www.cadillacjazz.co.uk) who have released many great records over the years, many still available. These include Murray’s the London Concert recorded seven months later; originally released as a two disk album it is now available as a CD. The sleeve notes are by Brian Case, then a journalist on British popular music weekly Melody Maker. Clearly based on an interview, the notes provide some important information into Murray’s early career. There are some useful comparisons to be made with interviews published in New York at about the same time, and with his later accounts. In some cases this mini-essay adds important detail to understanding Murray’s work and attitudes at this time, and looking back it shows how consistent Murray has been in the stories he tells in his interviews. Case locates Murray in “New York’s New Music scene” dominated by players “recruited from Chicago or St Louis” and notes Murray’s Berkeley, California origins. More importantly, though, Case explicitly notes that Murray studied on Stanley Crouch’s Black Studies programme at Pomono College, and that Murray originally came to New York on a research trip for a thesis on Jazz saxophone. This repeats the basic story from a piece in the 1977 Washington Post by Hollie I West which adds the point that Murray’s paper was on changes in Saxophone playing since 1959, but does not include the detail about Crouch and his major subject. Case had done his homework citing the Village Voice, and Murray’s various early gigs, and compositional activity, with some detail I have not come across before. There’s a bit on Murray’s early biography (the way music was organised in the Murray household’s daily routine and in Church) that comes up many times later, but I haven’t seen in print any earlier, and Murray’s comments on his influences (something I’ll come back to in later posts). The commentary on the music is excellent showing a real grasp of Murray’s distinctiveness, and avoiding all the superficiality of most characterisations. The direct quotes on Murray’s attitudes to playing (and especially to playing solo) are most interesting as well. The snippets of information in the credits also provide some important detail from which a larger picture of Murray’s place in the political economy of Jazz at that time. Taking them in the order that they are listed opens up interesting avenues for historiography. Clearly Murray was spending a lot of time in Europe at this time, but moving frequently from continent to continent. The recording was made at The Theatre Mouffetard, Paris in February 1978, seven days after he recorded in Rouen (tracks listed on Let the Music Take You and Last of the Hip Men), and in the same month that he recorded the tracks for his first Black Saint LP Interboogiology in Milan. In September of that year he was recorded live in concert at the Jazzfestival in Willisau, Switzerland and in December in the studio with the World Saxophone Quartet again in Milan. This is also the first time Kunle Mwanga’s contribution is cited. Here he is credited as concert and recording production. On Interboogieology, the 1985 recordings for New Life and the 1986 Recording NYC he is credited as Recording Supervisor, on 1980s Ming as (co-)Producer with Murray, and on the release of the 1984 recording of Murray’s Big Band Live at Sweet Basil he is listed as Murray’s management. It was Mwanga who produced such key concerts as Murray’s Quartet in Berkley, CA and his Big Band in 1978 at the Public Theatre, and in 1985 New York Kool Jazz festival. Mwanga is clearly central to Murray’s career in this period both in his live appearances and recorded material. I hope to develop some insight to this role a bit more in a later blog. Album design and production is credited to John Jack, who still runs Cadillac records to this day. He is also credited as producer of the London Concert, and there’ll be a full interview with John in a later post. The two photographs (credited to Coreen Simpson and Nina Melis for front and back respectively) are also worthy of some investigation. Let’s see where that goes.